Advance technology is playing an increasingly central role in children’s learning and education. This technology allows children to continuously hone their digital skills. Optimized Protein from NANKID PRO will be launching FUTURE CITY: An Interactive Digital Park and will open their doors to the public, Saturday on September 9th. This interactive digital park will be open until 9pm on Sunday, September 10th. 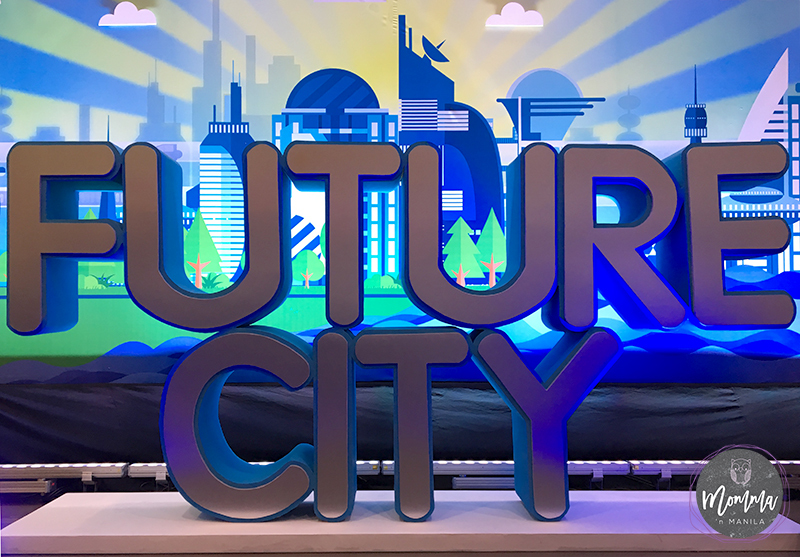 The Future City offers creative, interactive, and fun activities for kids and kids at heart! It physically illustrates how science has become the model for a brighter and more secure future for your children. The Future City accommodates 6 unique and interactive stations. Each station brings new and exciting discoveries, and engaging guests in one-of-a-kind experiences that will nurture their minds, get their hearts pumping, and release the energy of kids and kids at heart. We know that kids need to keep moving, and if your kid is a kinesthetic learner, this weekend activity will be a great way to engage his/her mind and body. After The Future Dome, the Sketch Village enables children to use their creativity to color the different characters. Depending on our children’s age the amount of vitamins changes according to their bodies needs. This is why we need to ensure they get the right nutrients in their diet which will foster growth, and develop skills, abilities, and reach milestones. Educating children at a young age about healthy choices and eating habits empowers them to continue to make healthier choices as they grow into adulthood. Block the Junk Wall encourages participants to prevent junk food from falling on to the virtual children on the screen. The children do this by throwing pillows blocks at the junk food, that flashes on the interactive screen. The future health of our children is affected by what we feed to them today. By giving children the proper nutrition, we can prevent our kids from suffering from obesity, developing allergies, and even cardiovascular disease. 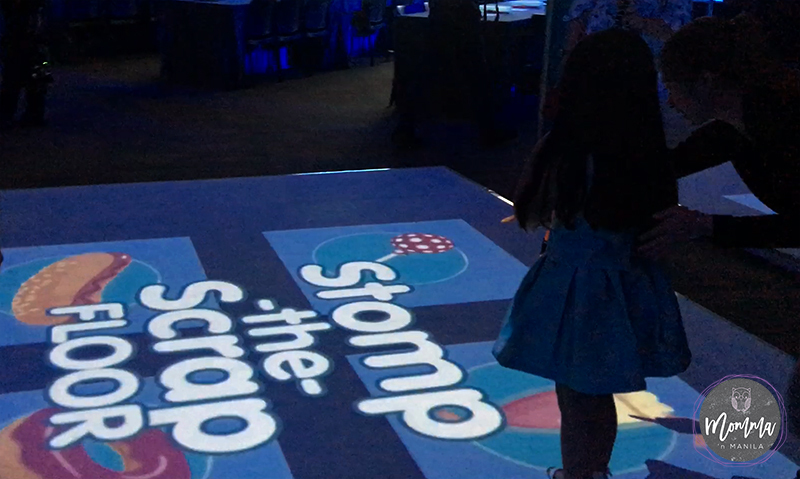 Stomp the Scrap Floor encourages users to stomp out the junk food pictured on the interactive floor screen. Nankid Optipro Family Health Screener application gives children a better chance for a healthier future through prediction. 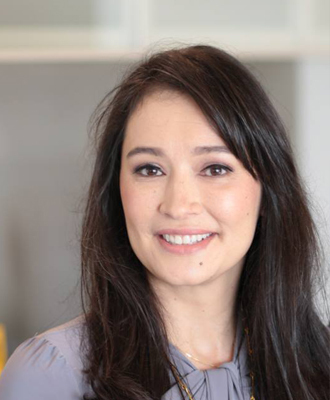 By entering the data and health information of each parent, the app can predict the possibility of health challenges a child might face. The screening app, which is also found on the Nankid Optipro website will give you quick results of possible traits and health risks you may pass on to your child. You also have the option to share your findings from the Family Health Screener on Facebook and Twitter. 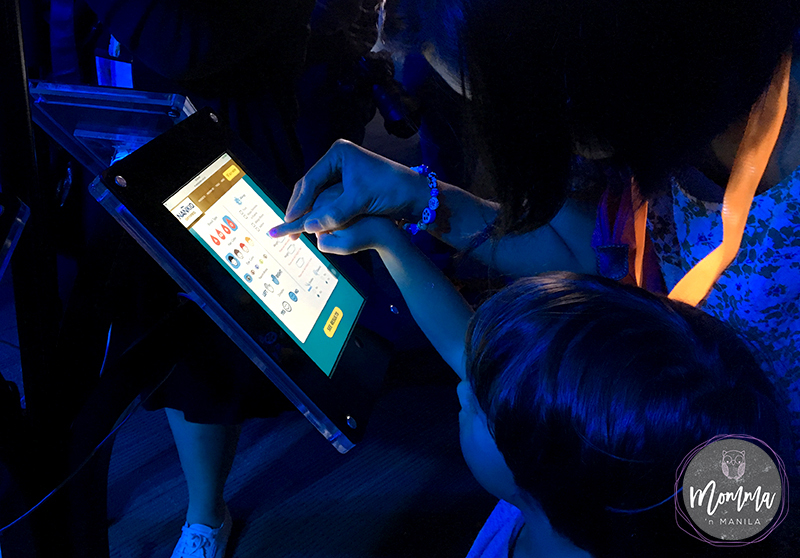 The Future Park together with NESTLÉ NANKID OPTIPRO FOUR is a way to not only educate but to empower children and their parents to make better decisions today, which will affect their future in a positive way. This type of digital learning can facilitate healthier essential choices for your child’s wellness and development. 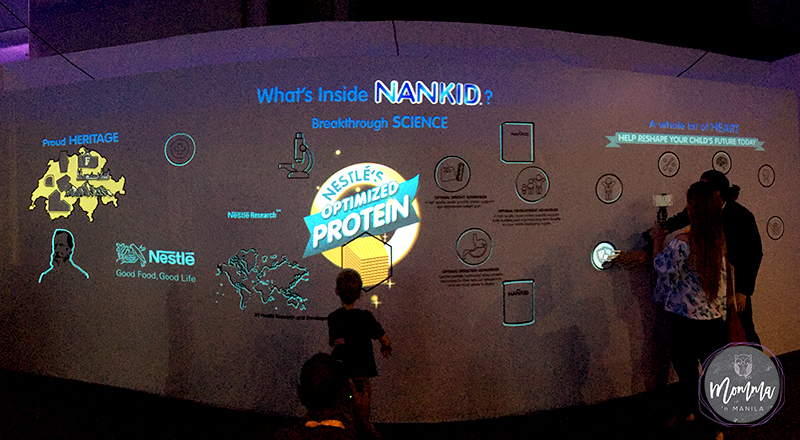 By touching the History of Nankid Interactive Wall, users will learn the history of how Nestle formulated this nutritious milk.